Last week Grown Up Glamour kicked off an exciting new series focused on celebrating mompreneurs. The series, targeted at moms wanting to leave the corporate world and begin their own business, is intended to empower mothers as they navigate the world of mother-hustling. Entrepreneurship comes with highs and lows, and when you give up everything to start your own business while also raising your family, those highs and lows are even more intense. We want moms to understand that mother-hustling isn’t a “get rich quick” opportunity but it is an opportunity to create balance in their life – and turn their passion into something to be proud of. 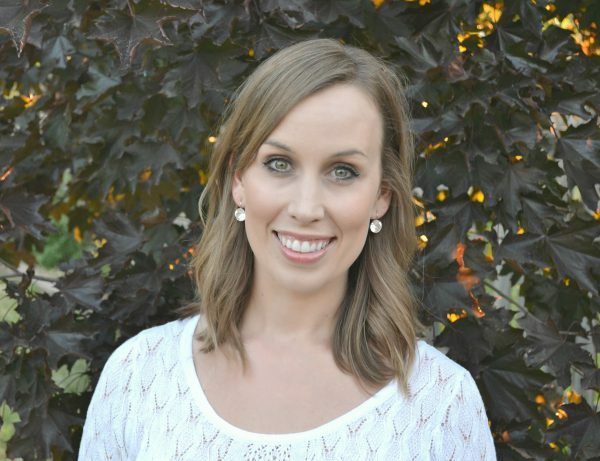 This week we sat down with Jaklyn Andrews from Oakville Family Birth. Not only is Jaklyn a dear friend of mine and an incredible human, but she’s also a kind, compassionate and supportive doula who has helped many women (and parents) in their parenting journey. Read more below for the inspiration behind Jaklyn’s career change – and how she keeps it all together while building her empire. I’m Jaklyn! I’m a doula and childbirth educator and I own Oakville Family Birth. I’m also a lucky wife and mama (two kids and a dog, the suburban dream!). 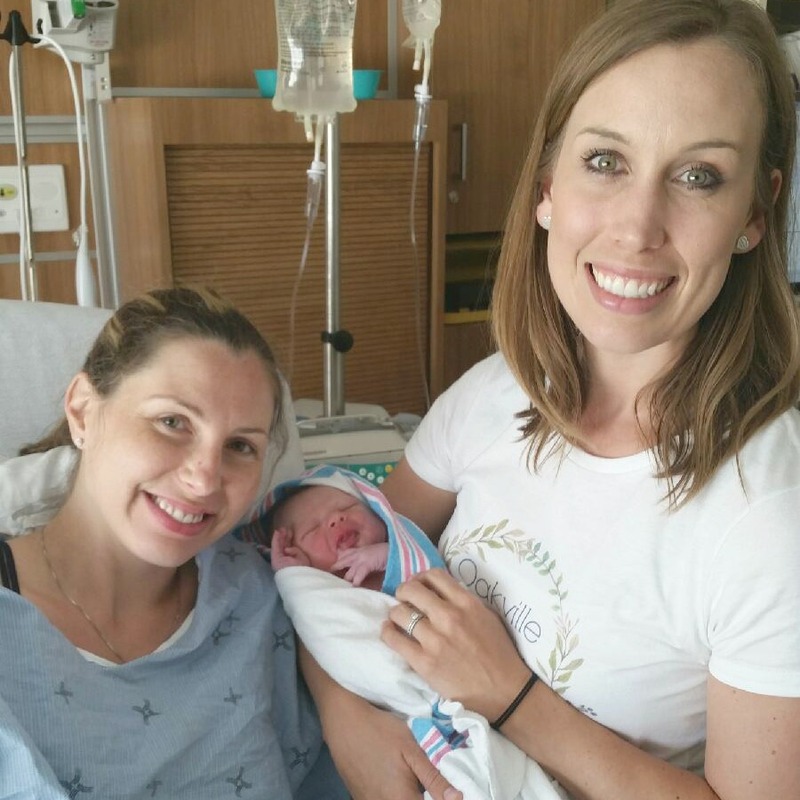 I always knew I would hire a doula for birth support but I never imagined the kind of journey it would take me on. My first birth experience was really challenging, the opposite of what we were hoping for, and the support our doula provided truly changed my life. I knew in that instant that I was meant to do this. At the time I had a great career in public health research and I knew absolutely nothing about business…it was very confusing, to be honest. I couldn’t turn it off though, the passion I’d discovered. It took over a year of exploring options and finally heading back to work after maternity leave (that was rough!) to eventually make the jump. There are a lot of misconceptions around doula work, so I’ll start with the very basics: a doula is kind of like a best friend who knows a lot about pregnancy, birth, recovery and baby care. 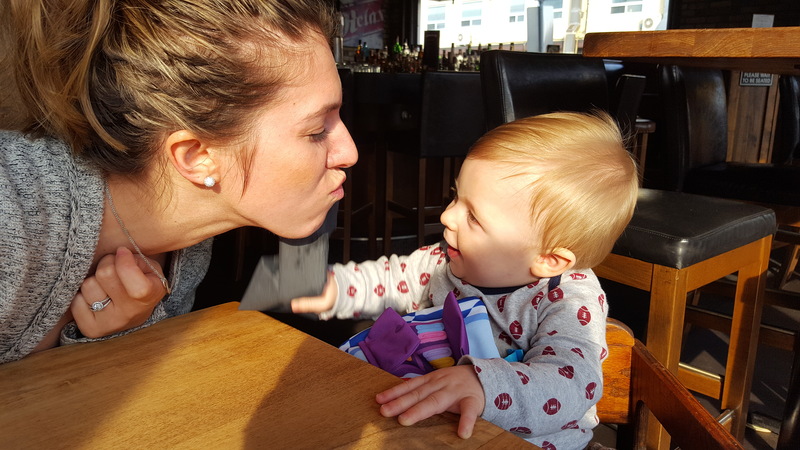 We support families throughout the perinatal period as they prepare for and welcome their babies. Doulas listen, guide, teach, coach, and help expectant parents and young families. It’s physical, emotional, mental, and also practical support. A doula’s job is to make life easier for their clients through all the highs and lows of pregnancy, birth, and parenting. I created Oakville Family Birth to support all kinds of families, all kinds of births, and all kinds of parenting choices. That’s my bottom line…I’m passionate about providing truly non-judgmental support. As my business grows, I plan to bring on other doulas and other birth and parenting professionals who share that passion. What are the skills a mompreneur must have in order to be successful? The first thing that comes to mind is organizational skills. Having systems in place to keep you, your business and your family on track can be the difference between success and failure. Next is discipline. You will have to make sacrifices for the greater goal. You’ll have say no to some fun stuff and slug through some not fun stuff to get to the other side. Finally, confidence. Yes, confidence is a skill! At the risk of sounding dramatic, google it… it changed my life. How do you manage your time effectively (both with your kids and with your work)? I’ll let you know as soon as I figure that out! I’m half-kidding. I use a combination of part-time daycare, back up child care, friends and family and a little bit of Netflix (#sorrynotsorry) to get everything done. I also work for a few hours every night after bedtime. My husband is the main reason our household is still running but lately we’ve been considering outsourcing some of that. I’ve become pretty good at time blocking. I have specific times for working when I hustle hard and tune out everything else. The same goes for family time: I try to be “all-in” when I’m with my little crew so that everyone’s love tank stays full. Being on-call for births requires a few extra layers of organization. Any given day, our bags are packed and we’re ready to get where we need to go so that I can be with my clients when they need me. My kids are amazing and go with the flow, for the most part. What’s the most difficult thing about growing your empire? What’s the best? The highs and lows can be difficult. If you’re going to do this, you’re going to work harder than you’ve ever worked before. On your toughest days, you might regret the whole thing and wish you could go back to your old life (your pre-entrepreneur life and possibly even your pre-baby life!). What I’ve found helpful is to celebrate every little win – every website visitor, every inquiry, every client. Stay humble but hungry, as they say. The best for me is calling all the shots. I can take on more or less at any given time, depending on what’s happening in the other parts of my life. I spend more time with my kids than I would have if I stayed on the path I was going down. Also I LOVE my job, so there’s that. What role has social media played in growing your brand? What other marketing tactics do you use? Social media has played a huge part in growing my brand from the beginning. Although my target market is local (Halton/Hamilton/Peel), I use social to share broader messages of encouragement, realness and self-love for young parents and parents-to-be. I also make it a priority to be out in the community, forming genuine relationships and helping out other small businesses. What tips would you give to moms wanting to leave their corporate job to launch their empire? Believe in yourself! From the bottom of my heart, I know you can do it. You have something unique to offer that no one else can duplicate so trust that there is room for you in the market, get out there and show people who you are. Anyone can do this if they’re willing to work hard enough. Are you a mompreneur with an inspiring story? Contact us to be featured. Mompreneurs in the Spotlight: Love Powered Co. Grown Up Glamour is beginning a new series on our blog where we interview an inspiring mompreneur who turned her passion into an empire. The series, targeted at moms wanting to leave the corporate world and begin their own business, is intended to empower mothers as they navigate the world of mother-hustling. Entrepreneurship comes with highs and lows, and when you give up everything to start your own business while also raising your family, those highs and lows are even more intense. We want moms to understand that mother-hustling isn’t a “get rich quick” opportunity but it is an opportunity to create balance in their life – and turn their passion into something to be proud of. This week we sat down to chat with Anna Lozano and Lindy Sood. 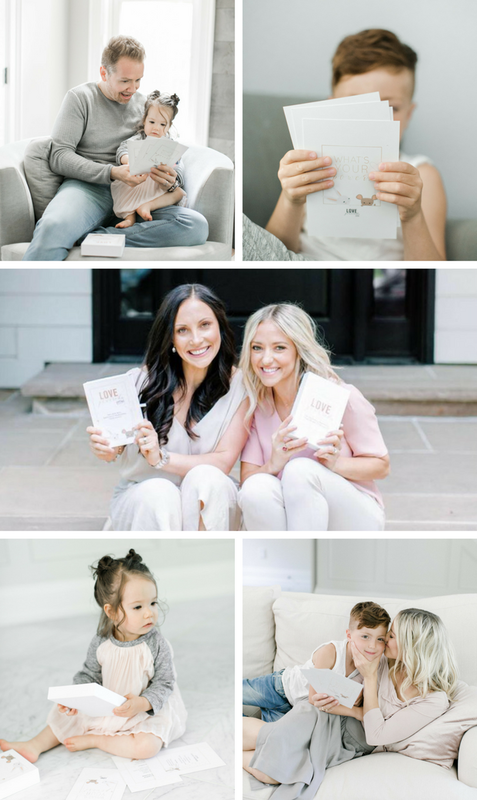 These inspiring mothers and business-women recently launched Loved Powered Co., a parent-led, self-worth movement powering the next generation of mindful leaders. Together, they have created 22 beautiful affirmation cards (which are more than affirmation cards) destined to affirm greatness in your littles and you. Read more below for the inspiration behind this amazing product – and how they keep it all together while building their empire. Anna and Lindy we’re so glad to have you join us in this new series. Tell our readers who you are. Our names are Anna Lozano and Lindy Sood and we would like to welcome you to the Love Powered movement. We are moms, entrepreneurs, friends, and soul sisters who realized that together, we have a powerful message to share with the world. Months ago, we started talking about what is lacking in the marketplace when it comes to personal growth products for families. We searched high and low for the perfect tool we could use in our homes, but what we were looking for just didn’t exist. So, we created it, and we are now making it available to you and your family. Our mission is to create a self-worth movement, powering the next generation of mindful leaders. A better tomorrow starts with our children, and that means we need to do the work now, healing ourselves in the process. This is so much bigger than a product, it’s a global movement creating a better tomorrow. Welcome home, to our Love Powered family. Together, we have an electric energy between us. We have complimentary strengths. We knew we wanted to build a business together, but we didn’t know just what. We wanted to create something special, something that would impact millions of families in a positive way. Separately but simultaneously we were both very involved in a self-discovery and self-improvement journey. When we had children, stating positive I AM affirmations (a ritual that literally helped to transform both of our lives), became even more important in our home. We saw a need (guided personal development tools parents can do with their children), and we decided to fill it. From a spark of inspiration, to birthing Love Powered Co. nine months later, we are mom’s on a mission to make tomorrow a better place. Love Powered Co. is a soul fuel company, powering the next generation of mindful leaders! Our mission is to power our littles with positive self-talk, confidence, self-love & self-worth. Our recipe is simple: Affirmation. Connection. Repeat. Self-motivation – no one else is going to do it for you. Passion – motivation can only go so far. You need a deep, intrinsic drive to keep you going on the hard days. Self-awareness – you need to know who you are, know your strengths (and exploit them! ), know your weaknesses (to surround yourself with others who can fill the gap), and realize how to bring your unique talents into your business. Time management – with kids, businesses, investments, activities, etc, you need to know how to prioritize your time in the most effective and efficient way. We have set up some non-negotiable barriers to ensure presence & connection with our kids is 100% paramount when we are with them. Between the hours of 3:30-8:30, we shut it off. We don’t answer. We put down the phone. After 8:30pm, we pick it back up again and finish off our day. We created an ‘Unplugged Sundays’ movement within our community and we hold each other accountable to this. We also surround ourselves with a support posse. On the times when we can’t unplug, we ensure our kids are taken care of (grandparents, friends, nanny). Difficulty always leads to growth, so we welcome the challenges that come our way. There have been hiccups – when we have thought something was going to go one way and it pivoted…but we are learning every single moment, and that is a huge gift. The best? Creating something from scratch. Having a nudge/spark of creativity and growing it. Seeing something go from an image in your mind to a physical product in our hands. It’s invigorating! Social media has been a major piece of our pre-launch and launch campaign. We posted a pre-launch video that had 17,000 views & 90 shares within 2 weeks. We are mainly focused on growing our FB community, page & instagram following at the moment. All of our growth has been organic and from our on mompreneur hustling skills! Do it. There will never be a perfect time. The world needs more women entrepreneurs. The world needs more you. What is life, if you don’t bite the bullet, pull the trigger and just go for it?! Follow along with Anna, Lindy and Love Powered Co. and be sure to check out them out on Kickstarter!